Where the tendon joins the calcaneal bone, friction can cause the spaces between the tendon, bone and skin to swell and inflame with bursitis. This constitutes a calcaneal bursa. Apart from swelling over the back of the heel, you?ll feel acute tenderness and pain when you move it or even apply light pressure. Your swollen heel may look more red than the other one, and the swelling is often so hard it can feel like bone, partly because it sometimes is, as a bony overgrowth can occur in chronic cases. Surgery should always be the last option. 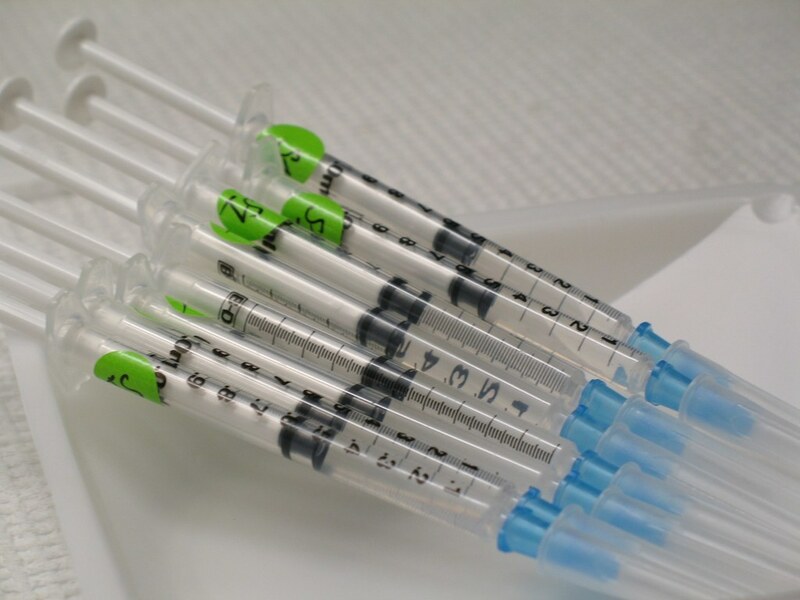 We believe that biologic treatments that preserve normal anatomy are very helpful, particularly for runner, athletes, and active professionals with buy schedules. All non-surgical approaches attempt to calm down the inflammation of the bursa and Achilles tendon. They do not address the bony bump, but they can substantially reduce and shrink the inflamed soft tissue. Some non-surgical treatments include Oral Anti-inflammatory Medications. NSAID's (non-steroidal anti-inflammatory medications) such as Motrin, Aleve, and Steroids (like prednisone) may help control the pain and stop the inflammation. Topical Anti-inflammatory Medications. NSAID's in cream or lotion form may be applied directly to the inflamed area. With these, there is no concern for stomach upset or other problems associated with oral medication. Ice. Ice can applied be applied right to the red, inflamed area and help calm it down. Try applying a podiatrist-approved ice pack to the affected area for 20 minutes of each hour. Just make sure you don't put ice directly against the skin. Exercises. Stretching exercises may relieve some of the tension in the Achilles tendon that started the problem. If you have Equinus Deformity (or a tight heel cord) this is critical to prevent it from coming back again. Heel lifts. Heel lifts placed inside the shoe can decrease the pressure on the Achilles tendon. Remember, pressure and friction cause the bump to become inflamed. Heel pads. Placing gel padding to cushion the Achilles tendon (at the back of the heel) can also help reduce irritation from shoes. Shoe modification. Wearing open-backed shoes, or shoes that have soft backs. This will also help stop the irritation. Physical therapy. Physical therapy, such as ultrasound, massage and stretching can all reduce the inflammation without surgery. Orthotic devices. 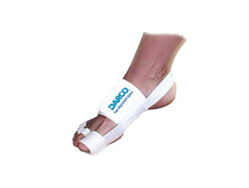 Custom arch supports known as foot orthotics control abnormal motion in the foot that can allow the heel to tilt over and rub against the heel counter. Orthotics can decrease symptoms and help prevent it from happening again. Immobilization. In some cases, a walking cast boot or plaster/fiberglass cast is necessary to take pressure off the bursa and tendon, while allowing the area to calm down. ESWT. Extra-corporeal Shock Wave Therapy uses high energy sound waves to break up diseased tissue in the bursa and Achilles tendon and stimulate your own bodies healing processes to repair the diseased area. It may be done in the office or in a an outpatient surgery center. There is no incision and no stitches with ESWT. PRP. Platelet Rich Plasma (PRP) is a therapeutic injection. A small sample of blood is drawn from the patient and the healing factors found in the platelets are concentrated in a centrifuge. By injecting the concentrated solution right into the damaged Achilles tendon, a powerful healing can be stimulated. This can be done in the office. No hospital or surgery required. The most common symptoms of hammertoes include. The toe is bent upward at the middle toe joint, so that the top of this joint rubs against the top of the shoe. The remainder of the toe is bent downward. Pain upon pressure at the top of the bent toe from footwear. The formation of corns on the top of the joint. Redness and swelling at the joint contracture. Restricted or painful motion of the toe joint. Pain in the ball of the foot at the Hammer toes base of the affected toe. This occurs because the contracted digit puts pressure on the metatarsal head creating callouse and pressure on the ball of the foot. Hammer toe and mallet toe are two foot deformities that occur most often in women who wear high heels or shoes with a narrow toe box. These types of footwear may force your toes against the front of the shoe, causing an unnatural bending. A hammertoe has an abnormal bend in the middle joint of a toe. Mallet toe affects the joint nearest the toenail. Hammertoe and mallet toe are most likely to occur in the toe next to your big toe. Relieving the pain and pressure of hammertoe and mallet toe may involve changing your footwear and wearing shoe inserts. If you have a more severe case of hammertoe or mallet toe, you may need surgery to experience relief. Flat feet can result in hammertoes, this is due to poor mechanics off the foot. High arched feet can also result in buckling toes. A major cause is in hereditary, all the toe conditions mentioned could be hammertoes acquired due in hereditary factors. Bunions are a major cause of hammertoes. Claw toes are usually the result of a shoe that is too short. For many people, the second toe is actually longer than the great toe, and if shoes are sized to fit the great toe, the second (and maybe even the third toe) will have to bend to fit into the shoe. Shoes that are pointed make matters even worse. Combine pointed shoes with high heels, the foot is under similar pressure as if it was constantly being pushed downhill into a wall. Rheumatoid arthritis can also lead to bunions, which in turn can lead to hammer toes. A bunion is a very common foot deformity that develops over the first metatarsal phalageal joint of the big toe of the foot. The joint that joins the big toe to the foot is called the first MTP joint. When it becomes prominent and the big toe starts to become crooked this is known as a bunion. The term referring to deformity of the big toe as it becomes crooked is called Hallux Valgus. It is the bump itself that is known as the bunion. When it gets red and swollen over the bunion because it gets sore this is usually due to an inflamed soft tissue over the underlying bone. Just because you have a bunion does not mean you have to have pain. There are some people with very severe bunions and no pain and people with mild bunions and a lot of pain. Symptoms for a bunion may include pain on the inside of your foot at the big toe joint. Swelling on the inside of your foot at the big toe joint. Redness on the inside of your foot at the big toe joint. Numbness or burning in the big toe (hallux). Decreased motion at the big toe joint. Painful bursa (fluid-filled sac) on the inside of your foot at the big toe joint. Pain while wearing shoes, especially shoes too narrow or with high heels. Joint pain during activities. Other conditions which may appear with bunions include corns in between the big toe and second toe. Callous formation on the side or bottom of the big toe or big toe joint. 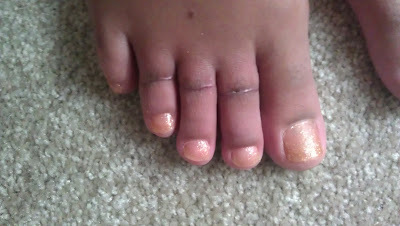 Callous under the second toe joint. Pain in the second toe joint. Patients should immediately cease using improperly fitted shoes. Footwear selection should have a wide and roomy toebox to accommodate the full width of the foot. If the problem is the over-pronation, the patient should be fitted with orthotics and can expect a slow recovery from pain over a period of months. Orthotics will not cause the physical deformity to regress, but will simply arrest any further progression and likely stop the pain. It is important to note however, that when bunions are severe and require surgery, the bunion can be corrected, but will develop again unless the root cause of over-pronation is corrected. If over-pronation is the root cause, orthotics will still be necessary. During a normal gait cycle, the forward movement is a result of the body's mass being displaced, putting the body in a forward-falling position. At this time, the lead foot hits the ground preventing the fall, followed by the rear leg as it swings forward, and the cycle repeats with each step. Symptoms can manifest in many different ways. Here is a list of some of the common conditions associated with over-pronation in children. Achilles Pain. Ankle pain. Arch Pain. Low back pain. Heel Pain. Knee Pain (Runner's knee and Chondromalecia of the patella) Osgood Schlatter Disease (pain below the knee) Shin Splints (pain in the front of the lower leg) Over-pronation does not necessarily mean your child has "flat feet." Even though children's arches may be relatively high when they lie down or sit, over-pronation may not be seen until your child is standing. A certain amount of pronation is normal. During normal walking or running ("gait cycle"), the heel strikes the ground and the foot rolls inward to absorb shock and adapt to the surface. This gait cycle is even more important if the running surface is uneven. Your podiatrist will look at your current footwear to ensure that it is both well-fitted and possessed of adequate cushioning to protect your feet. Firm heel support is advised for over-pronators, and a good fit is important to ensure that the foot as a whole is well supported as instability can exacerbate the existing problems caused by over-pronation. Sever?s Disease (calcaneal aphophysitis) is not really a disease, but more a repetitious strain injury. This is the most common cause of kids heel pain seen at Podiatry Care. Active children in football, soccer, basketball, netball and tennis with this type of foot pain complain of pain in the region of the heel bone particularly after exercise. In severe cases, children will complain of pain during exercise as well. It is a frequent cause of heel pain in children, particularly in the very active child. It is most often seen in children between the ages of 8 to 15 years as the growth plate is not fully developed or calcified at this time. Severs disease is caused by repetitive excessive force to the growing area of the heel bone, causing injury to this area. The calf muscles (soleus and gastrocnemius) are attached by the Achilles tendon to the calcaneus (heel bone). They exert a huge force during running , jumping and landing. In children, there is a growing area in the heel bone called the apophysis and is made of relatively weak cartilage. If there is excessive force at this relatively weak point damage occurs. This excess force can be caused by a number of factors. During the adolescent growth spurt the bones grow very quickly. The muscles do not grow out at the same rate as the bone grows and so can become very tight. The calf muscles generate huge forces when they are used to run, jump and land. This force is transmitted to the calcaneal apophysis (growth area). The gastrocnemius muscle spans both the ankle and knee joint. Tightness of this or any other muscles of the lower limb (hamstring or quadriceps) cause extra force at the growing (weak) area. In active children, who undertake a lot of exercise, the repetitive high force causes damage. If your child has poor biomechanics due to poor lower limb alignment (often caused by flat feet), the muscles of the lower limb have to work excessively hard and this can cause increased force at the tibial tubercle. * Cold packs: Apply ice or cold packs to the back of the heels for around 15 minutes after any physical activity, including walking. * Shoe inserts: Small heel inserts worn inside the shoes can take some of the traction pressure off the Achilles tendons. This will only be required in the short term. * Medication: Pain-relieving medication may help in extreme cases, but should always be combined with other treatment and following consultation with your doctor). * Anti-inflammatory creams: Also an effective management tool. * Splinting or casting: In severe cases, it may be necessary to immobilise the lower leg using a splint or cast, but this is rare. * Time: Generally the pain will ease in one to two weeks, although there may be flare-ups from time to time. * Correction of any biomechanical issues: A physiotherapist can identify and discuss any biomechanical issues that may cause or worsen the condition. * Education: Education on how to self-manage the symptoms and flare-ups of Sever?s disease is an essential part of the treatment.